Huawei Is Backed by the Chinese Military. What’s in Your Cellphone? The race is on for dominance in the coming world of 5G smartphones and telecommunications. 5G is an abbreviation of “fifth generation” in upload/download speeds and is the successor to the well-established 4G standard we use today. These much-higher speeds will allow more video and music streaming and downloads and enable more multitasking. The profits from 5G will be enormous because every smartphone user in the world will have to buy a new phone to take advantage of the new technology. It’s a windfall for manufacturers of handsets, screens, chips and other components and a gold mine for content providers. The winners will include a handful of companies such as Huawei and ZTE of China, Samsung in South Korea, Apple in the U.S. and Nokia from Europe. But don’t expect a level playing field in the competition. Already the world is dividing into a “China camp” consisting of Huawei and ZTE and a “Western camp” led by U.S. champions. As this article shows, the competition has gone far beyond quality and price. 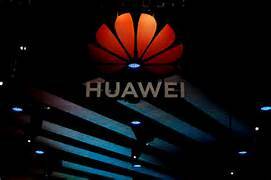 The CIA has developed evidence that Huawei is funded by China’s intelligence community and the People’s Liberation Army. It is suspected that users of Huawei 5G equipment will be targeted with “back doors” that relay sensitive information straight to Beijing and allow for other dysfunctions in the event of an all-out cyberwar. The U.S. is trying to rally European and other users to ban Huawei. 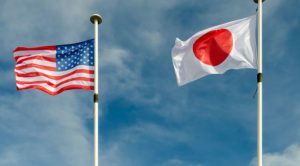 Europe and Japan are caught in the middle between a suspicious U.S. and the jobs and generous terms offered by Huawei. A likely outcome will be a world divided into two mutually hostile technology platforms. For those too young to remember the Cold War (1947–1991), you may get a chance to re-live it. What Does Food Delivery Have To Do With Your Portfolio? This article describes the rise of the food delivery business through the use of apps and gig economy drivers from Uber and other services. The delivery services reach agreement with a wide variety of restaurants and fast-food outlets to deliver their meals. Then they create an app and distribute this to a customer base that is oriented to millennials and those in more densely populated areas. You open the app, select a restaurant, pick what you want from the menu, place your order and voilà, your food arrives quickly and still hot. Or not. The article describes the failures of these systems and frustrations of many users. The food is overpriced (due to delivery and service charges and other markups), the waits are inordinately long (sometimes an hour or more for restaurants that are almost within walking distance) and the food is often cold by the time it arrives (thank goodness for microwaves). More to the point, these services set out to solve a problem that didn’t exist. Customers have been able to get home food deliveries since the 1950s from local pizza parlors, Chinese restaurants and Jewish delis, among others. What does this tale of food delivery apps have to do with investing? It shows that Silicon Valley’s best and brightest are devoting substantial time and effort to fixing things that don’t need fixing. The added productivity from each such application is low at best, and may be negative (especially if the food is cold). Building apps just for the sake of building apps is a waste. Also, don’t underestimate the extent to which these apps have nothing to do with food delivery and everything to do with getting in your smartphone, data mining your personal preferences and selling the data to advertising giants like Google and Facebook. Stories like this help to illuminate the mystery of declining productivity, which has stumped economists. Enjoy your next food delivery while you ponder how much value-added the service has relative to the older alternatives. The answer is not much. 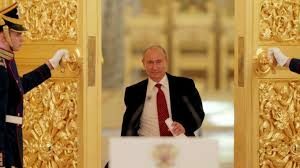 We’ve reported extensively on Russia’s accumulation of gold, their development efforts at a private internet and cryptocurrency to control communications and money and actions the they’ve taken to defeat U.S. economic sanctions. Where is all of this leading? This article provides some of the answers. 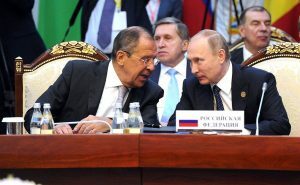 At a meeting of Russian students and professors at Russia’s Diplomatic Academy, Russian Foreign Minister Sergei Lavrov flatly declared that the Western powers, led by the United States, have been developing a globalist new world order with the intention of forcing developing economies, including Russia, to give up sovereignty and submit to the U.S. model of how nations should handle their currencies and trading patterns. This new world order will force smaller economies such as Russia to adhere to global norms and rules imposed by the U.S. and its globalist allies in Europe, Japan and Canada. Lavrov said that these efforts are a form of “blackmail” aimed at Russia and they should be rejected and resisted. He encourages the Russian diplomats-in-training to take tough negotiating stances and use creativity in meeting this challenge of the new world order. This implies that Russia is free to answer with its own version of a new world order that includes gold-backed currencies, cryptocurrencies and contained forms of internet communications that limit the ability of U.S. media to influence Russian public opinion. This struggle is at the early stages and will not go away soon. 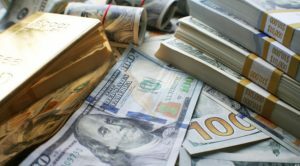 Individuals can protect their net worth in this Russia-U.S. crossfire by acquiring the one asset that Russia is buying and the U.S. already has — gold. Guess Who Thinks Trump Will Win Again in 2020? Goldman Sachs! A few weeks ago, I unveiled my first forecast on the outcome of the 2020 presidential race. My estimate was that Trump had a 60% chance of winning. I was also careful to explain that my forecasting model includes constant updating (using what’s called Bayes’ rule) and would no doubt change between now and Election Day on Nov. 3, 2020. That’s normal. Politics is a highly volatile process and it’s foolish to put a stake in the ground this early. My model has quite a few factors, but the leading factor right now is that Trump’s chances are the inverse of the probability of a recession before the third quarter of 2020. If recession odds by 2020 are 40%, then Trump’s chances are the inverse of that, or 60%. With the passage of time, Trumps’ odds go up because the odds of a recession go down (a concept called “theta,” or time decay of a contingent outcome). If a recession does hit (we’re watching), then Trump’s odds go way down. This dynamic can be used to explain and forecast Trump’s economic policies, including calls for interest rate cuts and efforts to place close friends on the Fed board of governors. It’s all connected. As usual, I found myself out on a limb with my forecast; the mainstream media are sure Trump will lose in 2020, if he’s not impeached sooner. So it was nice to get some company, as revealed in this article. A new Goldman Sachs research report also projects that Trump will win in 2020. Goldman shows a narrower margin of victory than my model, but a win is a win. Of course, their forecast will be updated (as will mine) but we’re starting to see more signs from other professional analysts that Trump is a likely winner after all. It’s Musical Chairs at the Fed. Who Will Be Left Standing? When President Trump was sworn in on Jan. 20, 2017, he inherited two vacant seats on the seven-person board of governors of the Federal Reserve System. 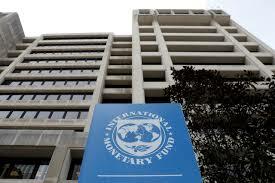 Holders of those two seats are also members of the Federal Open Market Committee (FOMC), the group that sets U.S. interest rates and monetary policies. President Obama also had the same vacancies, but he did not nominate anyone to fill the seats because he doubted his chances of getting the nominees past the Republican-controlled Senate and he was sure “President Hillary” would do the right thing and appoint pro-Democratic nominees. In the end, Trump beat Clinton and the vacancies fell to Trump. Then Trump got another windfall. 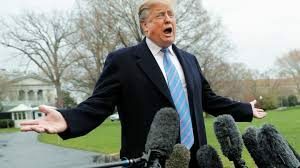 Within 14 months of becoming president, three additional Fed governors resigned (Dan Tarullo, Stan Fischer and Janet Yellen), and Trump suddenly had five vacancies to fill, or 70% of the entire Fed board. 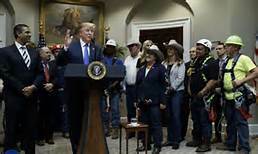 Trump promoted Jay Powell to chair and appointed Richard Clarida as vice chair, Randy Quarles as vice chair for regulation and Michelle Bowman to fill a seat reserved for community bankers. All of those appointments were well regarded by Wall Street and the media. But that still left Trump with the two original vacancies. 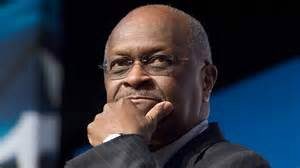 As discussed in this article, Trump has indicated he wants to appoint Herman Cain and Steve Moore to fill those seats. Cain is a former presidential candidate, chair of the board of the Federal Reserve Bank of Kansas City and CEO of the Godfather’s Pizza chain. Moore is a think tank analyst, founder of the Club for Growth and a former member of the editorial board of The Wall Street Journal. Cain has run into opposition from Senate Republicans based in part on old allegations of sexual misconduct. Moore is also being opposed by those who fault him for not having a Ph.D. in economics. Whatever the merits, the real reason they are being opposed by monetary elites is that they are “friends of Trump” and will hold Jay Powell’s feet to the fire to cut interest rates and keep the economic expansion going ahead of the 2020 election. No worries. If Cain and Moore are withdrawn, (and breaking news is indicating that Cain is withdrawing from consideration to be nominated), there’s some indication that Trump’s next nominee will be Judy Shelton. She does have a Ph.D. and is a well-known advocate of a new gold standard.